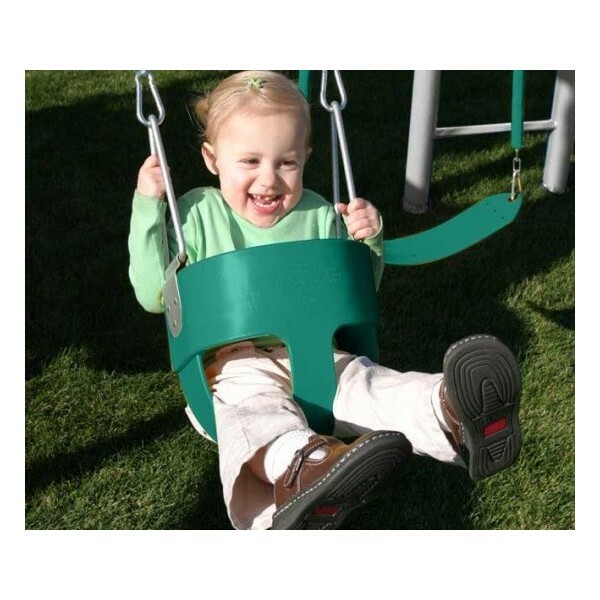 With a toddler swing, your baby can be included in your backyard family fun.Your child will be safely enclosed in this 9.5 in. 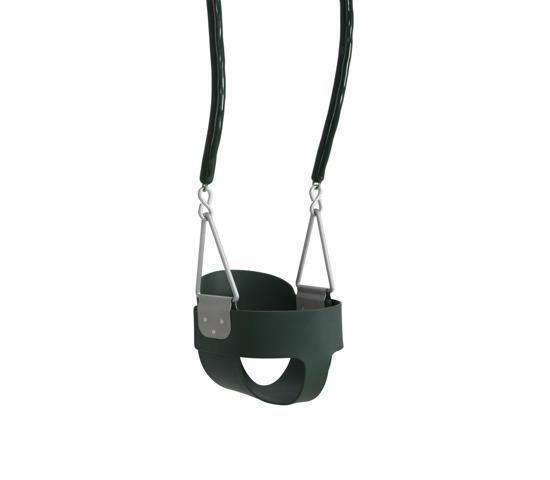 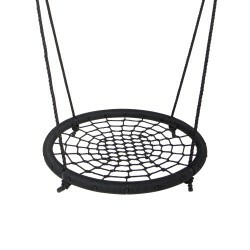 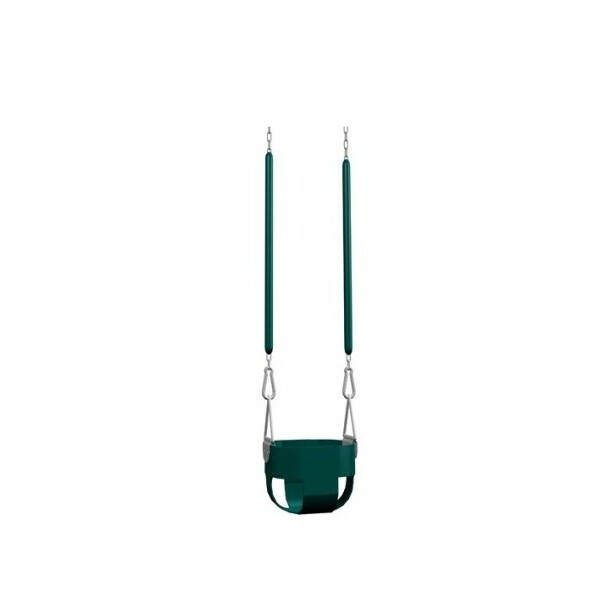 deep bucket seat, and encapsulated soft-grip chains keep little fingers from getting pinched.This toddler swing is constructed of a tough polymer material with galvanized steel attachments for weather resistance to cracking and rusting. 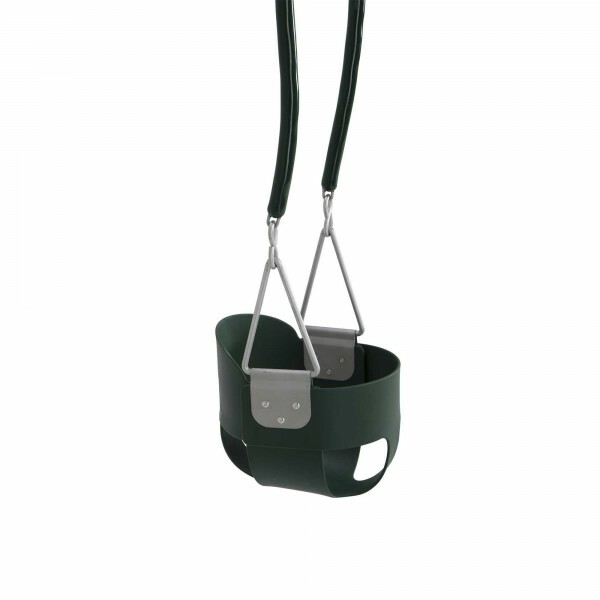 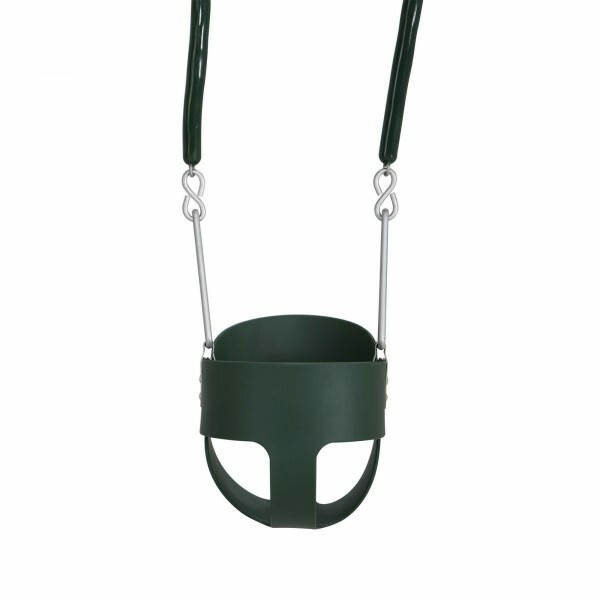 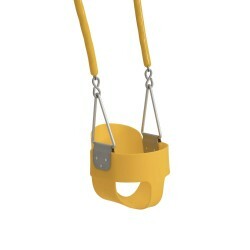 Bucket Swing Accessory - Lifetime's Bucket Swing is constructed of EVA plastic. 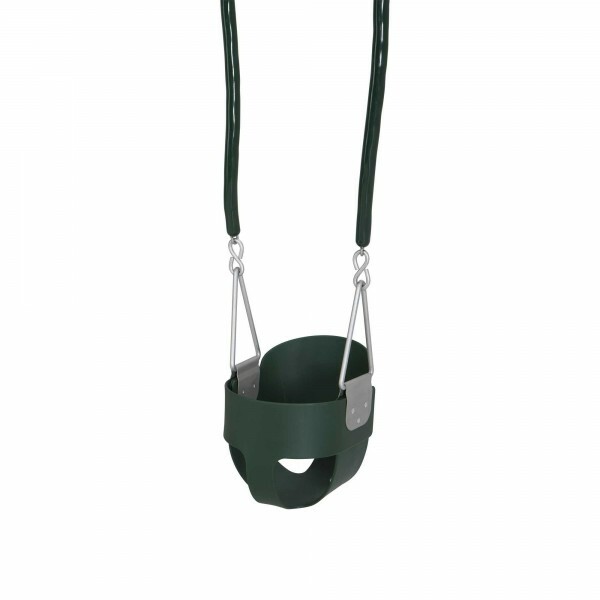 It is UV-protected, weather resistant and comes in green.